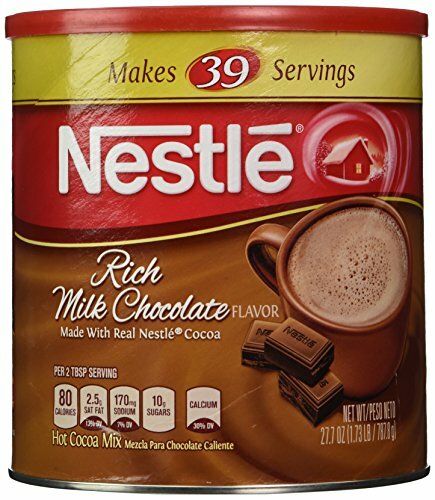 We love this hot cocoa by Nestle. First of all, buying it in a canister is much more affordable in the long run than the individual packets. Plus you can put in the amount of chocolate you prefer. But there is something about this rich milk chocolate variety that just has a nice chocolate taste to it. I highly recommend it. This is a great tasting Hot Cocoa.. buy this often in the winter months. this is good hot cocoa. I agree...cheaper than buying by the packet.